The ideal walker for your furry friend. 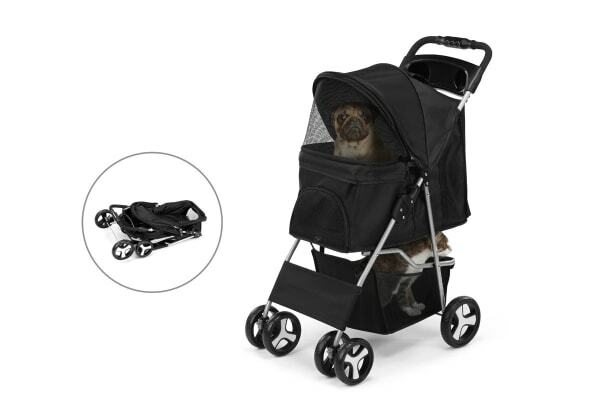 Perfect for aging pets and pets recovering from surgery, get your furry friends out of the house and into the great outdoors with this foldable pet stroller. Don’t let injuries, arthritis and ailing health make your beloved pets homebound, take them for a stroll with the Pawever Pets Foldable Pet Stroller. Give your pet the most comfortable ride possible with a padded insert and a breathable ventilated exterior. You can even store your pet snacks in the cup holder! Raining or windy outside? Just zip up the front shade and cover to protect your pet from the elements. 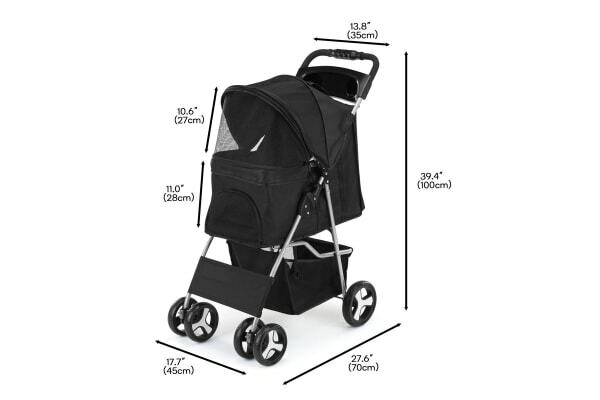 When it’s time to pack up, simply fold the stroller in half and place in the boot or garage for your next doggy stroll.